Travel transport is often that necessary evil we have to endure before the real fun begins. But once upon a time, people clamoured for seats on luxury trains that rode through mountains, across deserts, and toward never-before-accessible terrain. We researched, mapped, and selected our favorite train trips across Asia, Europe, and the Americas. Some are easy and short-haul (four hours, snacks), some are long-haul and involved (twelve days, black tie), all are packed with good fun, great design, and jaw-dropping scenery. You've already forgotten where you are going. It's all about the journey now. When you're not taking in the scent of orange groves or tippling at a local sherry bodega on the Andalusia Tour, you can splay out in a lounge car restored to its 1920s glamor, admiring the lush panoramas and tastes of southern Spain and the details of the train's interior (originally built for the British royalty to travel throughout Europe). 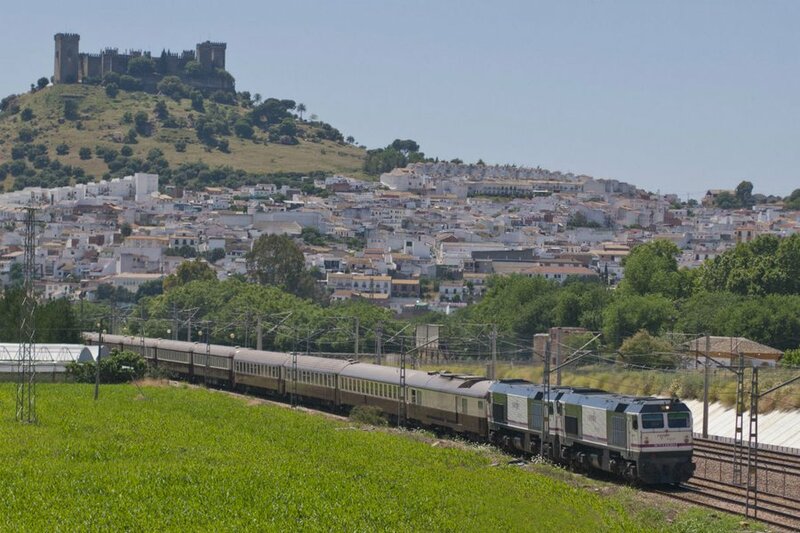 After the equestrian ballet in Jerez or the evening flamenco show in Granada, retire to your sleeper carriage, a vintage jewel box perfect for curling up with a good book or diary of iberico-laden dreams. Once a year, the most glamorous train of them all (evening dress code: black tie) links Istanbul to Venice — via Bucharest, Budapest, and Vienna — when it is added to the more frequently scheduled Paris-to-Venice route. Sightsee by the Danube, have lunch in a small Romanian mountain town, then roam the streets of the Austrian capital. In between, sing duets with the resident pianist in the art nouveau bar car, sip on an Agatha Christie (a cocktail made with ingredients from every stop on the route) and unwind in your personal sleeper carriage, where by day the bedroom is converted to a smart sitting parlor. Settle into, then lovingly admire, the first-class parlor cars in all their polished-brass-and-beveled-glass glory. 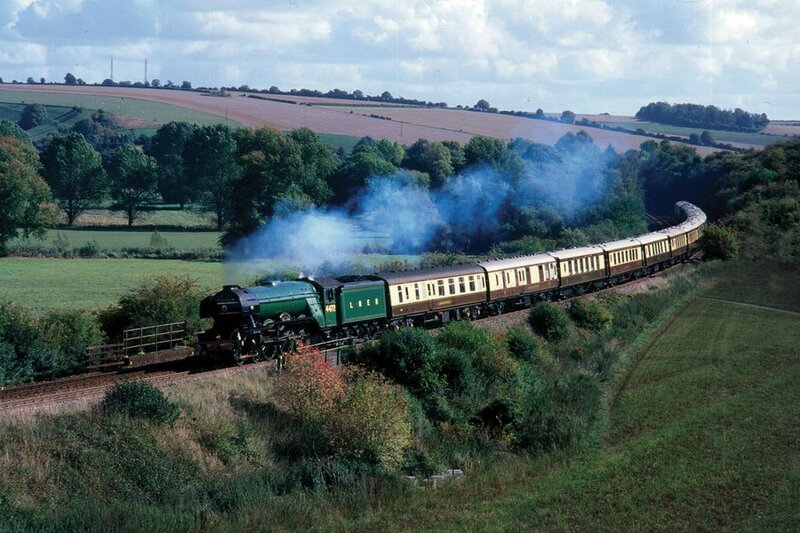 In The Golden Age of Travel by Steam afternoon journey, day trains are hauled by steam engines that roll through the English countryside and back during a five-course lunch with wine pairings. Ask for reservations, and they'll tack on a room at the Ritz or Savoy upon your return. 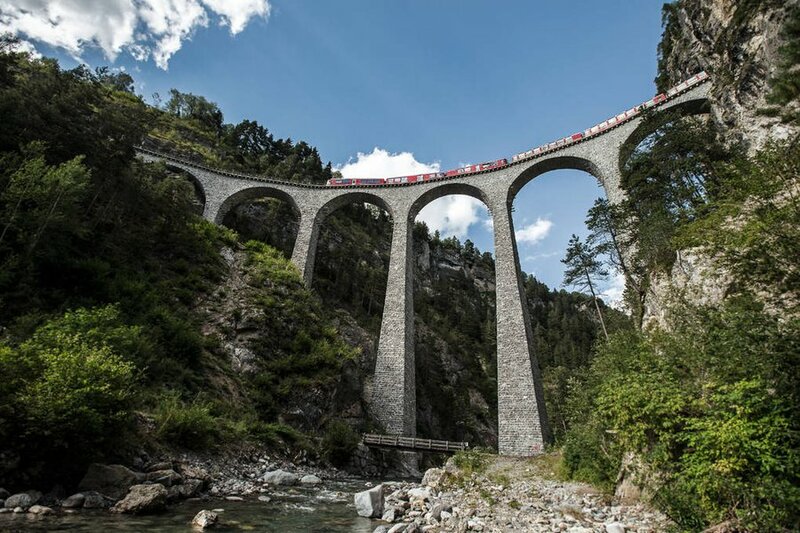 From snowy winter to verdant summer, the sightseeing train winds over hundreds of bridges and through various tunnels through the jaw-dropping Swiss Alps and over the Italian border. Unbelievable landscapes (was that a glacier? A frozen lake? A palm tree?) can be fully appreciated — and Instagrammed! — through the shiny glass windows and skylights of the modern panoramic coaches, which are hitched to the local train. Think you can't possibly get any higher? A picnic lunch and bottle of wine will send you over the moon. The Istanbul-to-Prague leg gets consistently excellent reviews, but you can drive a proverbial stake straight into the heart of Dracula's homeland by riding The Transylvanian Route East, where the train chugs along the banks of the Danube to the shores of the Bosphorus, rolling through the great Hungarian plain, the birthplace of vampires, and Bulgaria's ancient capital city along the way. Walk medieval streets, meet a Magyar cowboy at a horse show and, in Rose Valley, pick up a few bottles of Kazanlak rose oil (the liquid gold in your high-end perfume). The laid-back dining service and wood-paneled carriages fitted with brass give off a warm, 1950s vibe that's classy yet comfortable. And certainly continental. 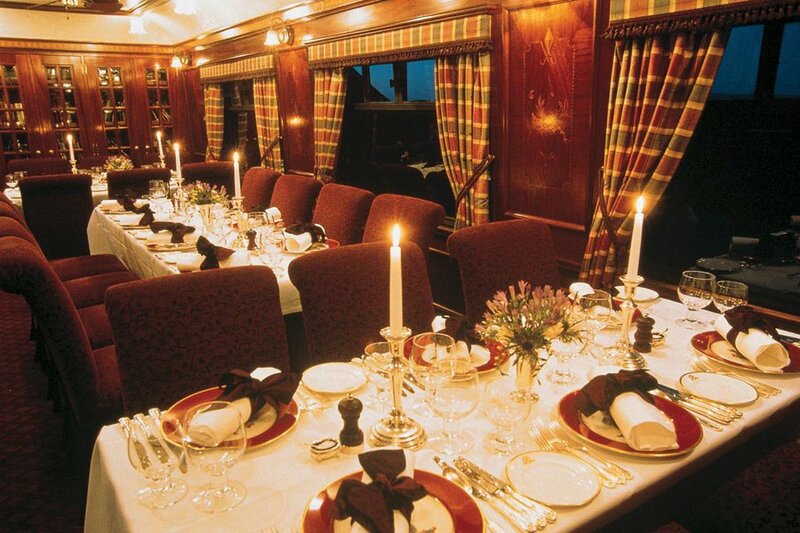 Only thirty-six guests at a time climb aboard for the Classic Journey, a wild ride through the piney mountains and glassy lochs of the Scottish Highlands. Kinloch Anderson, kiltmakers to the queen, can help you hire a kilt for the journey. Once dressed, you'll feel right at home in the cozy observation car, where clansmen tell stories and possibly reveal weaponry. After days spent touring castles, shooting clay pigeons, and swilling at distilleries, enjoy a wee dram in cocktail attire and gorge on specialties from the pristine waters and game-rich glens of the region. If you're too stuffed to sleep in your plush and plaid cabin car, step out onto the open verandah for some fresh coastal air. 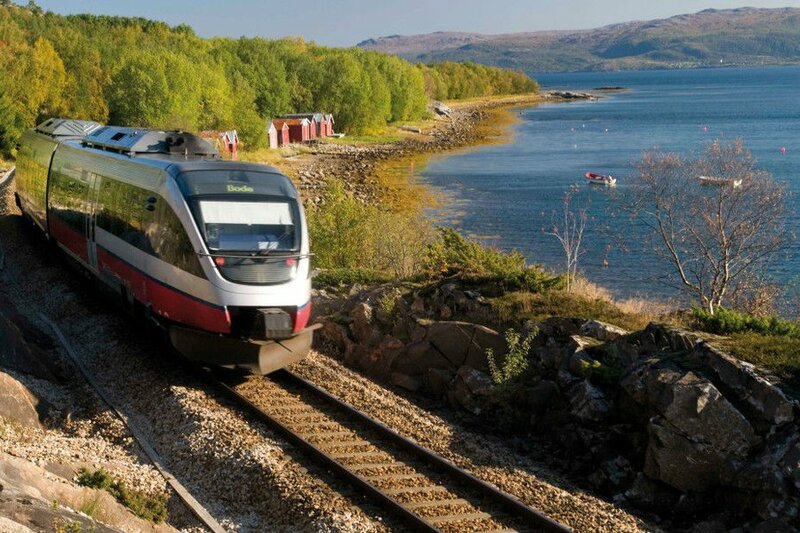 There are 3,000 kilometers of rail across Norway, but the very best 729 of them are at the northern tip of the country. Chase the midnight sun way up to the Arctic Circle, bypassing the airport, the Viking festival and the 66th parallel in pursuit of the purest, softest light. Once you've arrived in Bodø, a rubber dinghy can float you over to the picturesque Lofoten archipelago, where there's a small fishing village offering nature safaris, fishing excursions, and stockfish for lunch. 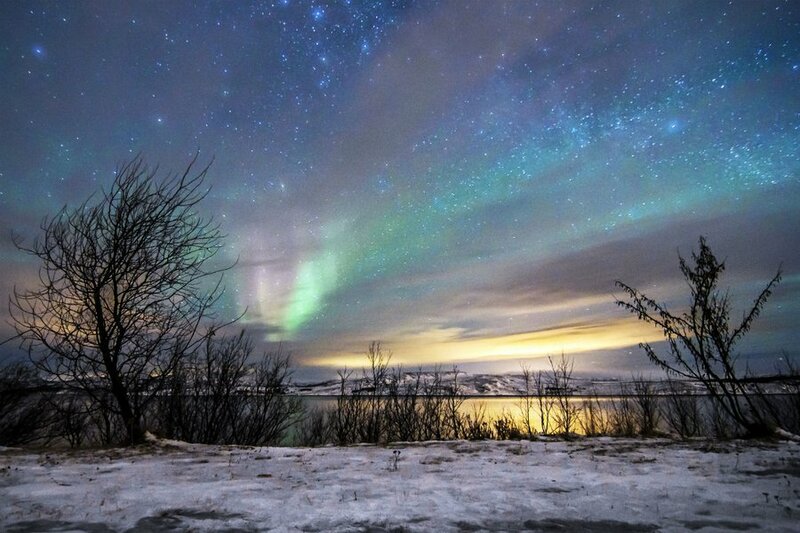 Come late autumn, join the Nordic skygazers looking for the green hues of the Aurora Borealis. Book it: Go to ACP Rail and enter Trondheim and Bodo as your stations of origin and destination. Don your finest winter coat and delve into Russian Christmas on a whirlwind Russian tour: ice skate in St. Petersburg, star gaze with an astronomer in Kirkenes, sledge with huskies on the Arctic tundra and follow the northern lights to the Kola Peninsula. 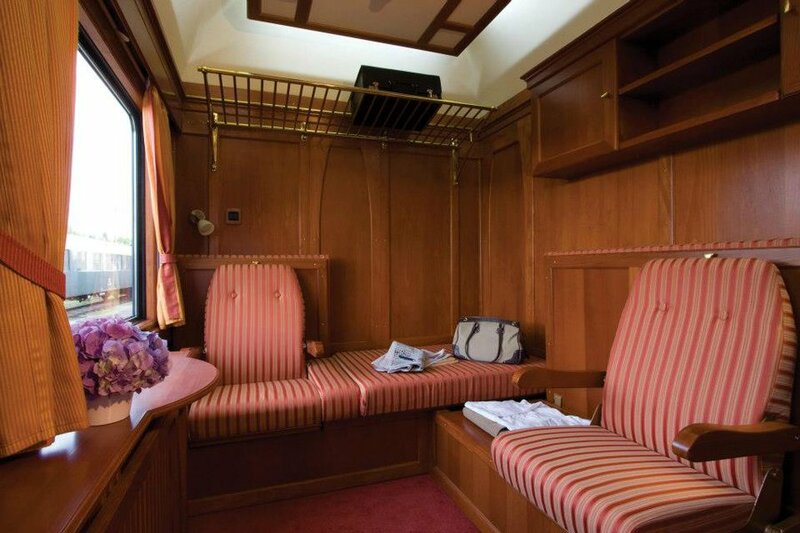 Retire to imperial suites, the most spacious of any train in Russia, where toiletries, bathrobes and slippers add a nice touch to the state-of-the-art amenities on board. 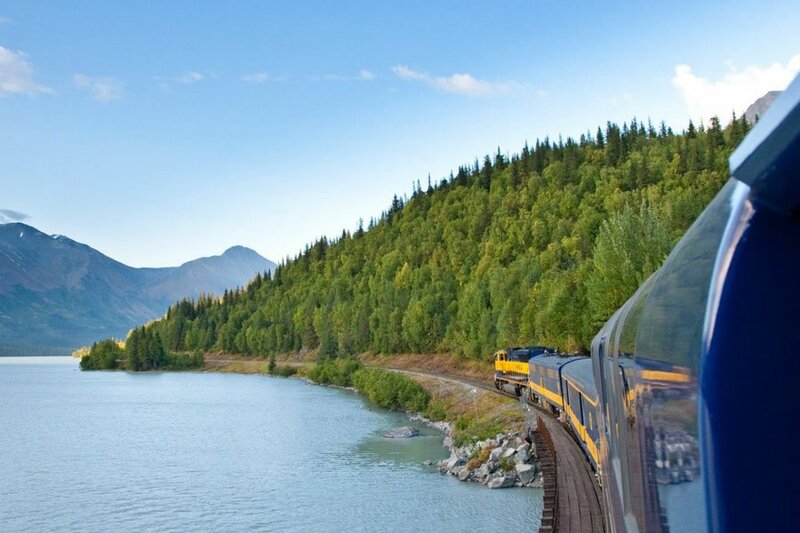 Plan a day trip on the Coastal Classic for a chance to experience Alaska's most spectacular scenery: walls of ice, jagged peaks, snowy gorges, and other locations only accessible by train. 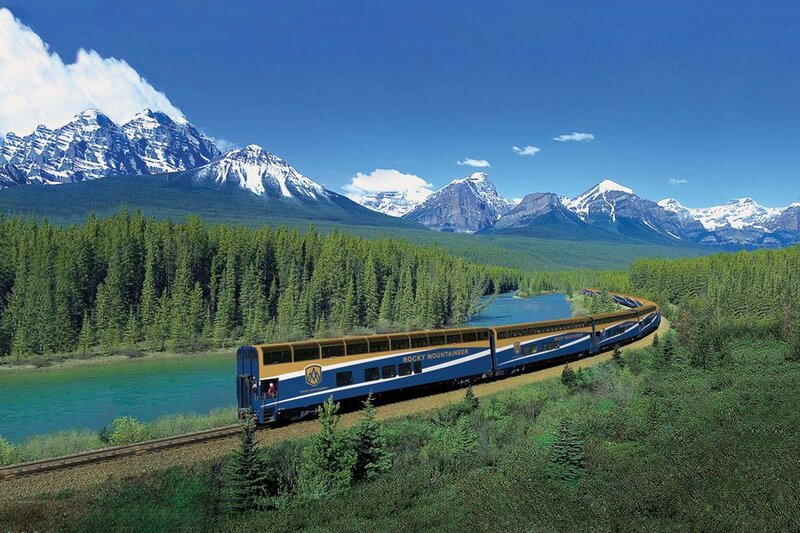 Organize an epic game of I Spy as the conductor slows the train to give riders a glimpse of native wildlife like moose, black bears, and bald eagles. Keep your eye out for the hauntingly beautiful ghost forests of Girdwood — trees that were naturally preserved by salt water after the 1964 earthquake. Spring for the Goldstar car for the second-story observation deck, panoramic views, and the best photo ops. 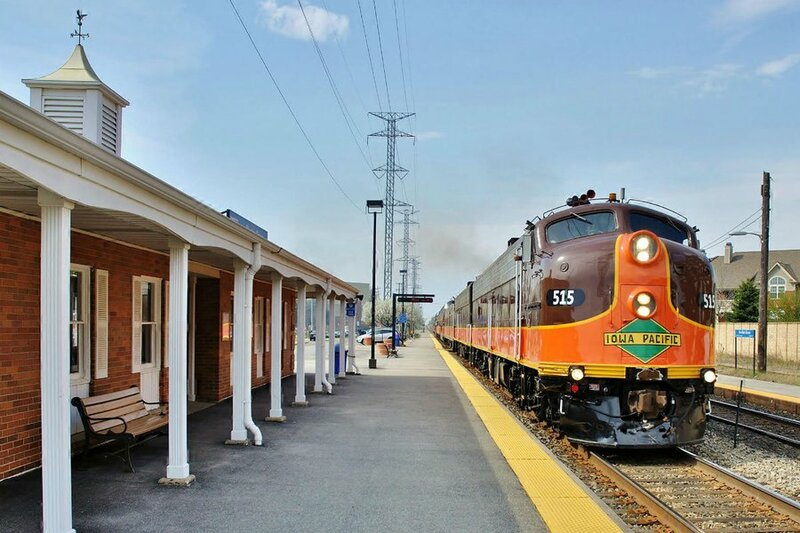 Experience the golden era of American rail travel in an artfully restored antique car with all the perks of modern technology (WiFi, air conditioning). The landscape is pure Americana along the Illinois central line; the seasonal and sustainable dishes served in the the dome-windowed dining car are drawn from the original menus of the 1940s. After dinner, head to the lounge car for a wine, conversation, and a lively musical performance from Chicago's old town school of folk music. Discover Machu Picchu after a short ride through the heart of the Andes mountains. 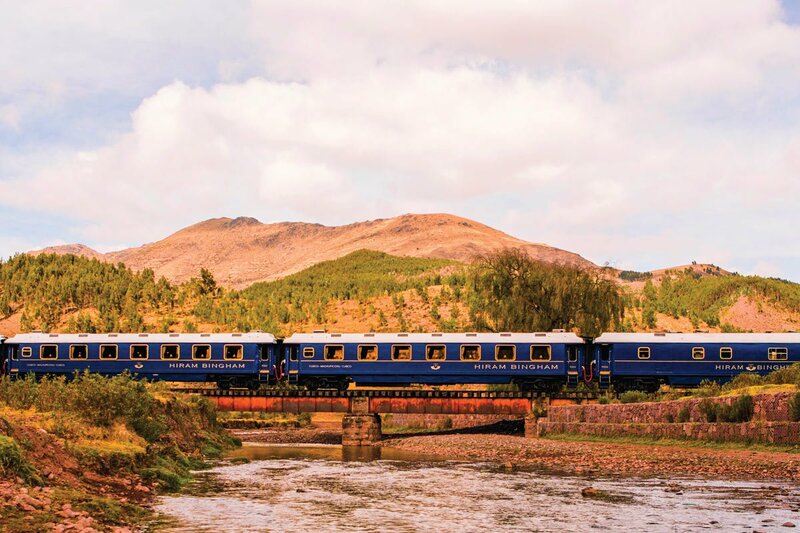 Named for the now controversial explorer who brought the world's attention to the beautiful and enigmatic Inca ruins, the Hiram Bingham train is decorated in the style of 1920s Pullman carriages and furnished with polished wood and brass. 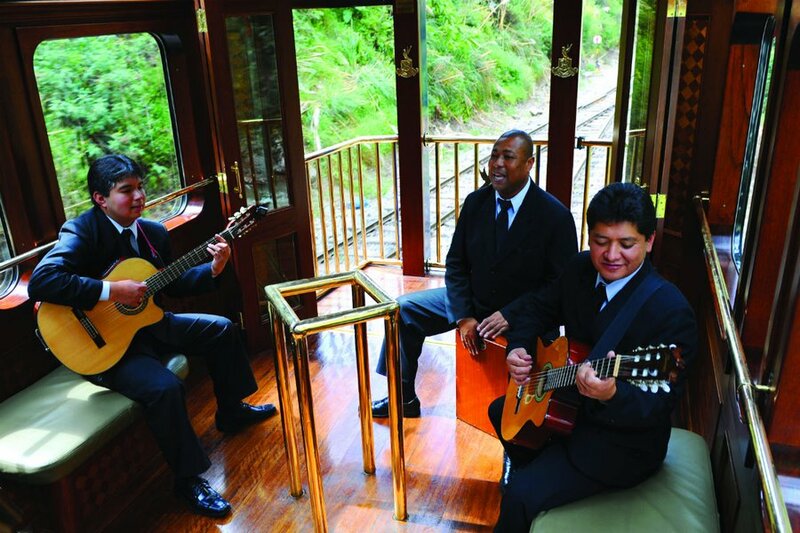 Head to the bar car for authentic Peruvian music and a lesson in mixing the perfect pisco sour. For breathtaking views of Peru's romantic scenery, grab a spot on the open-air observation platform at the back of the train. 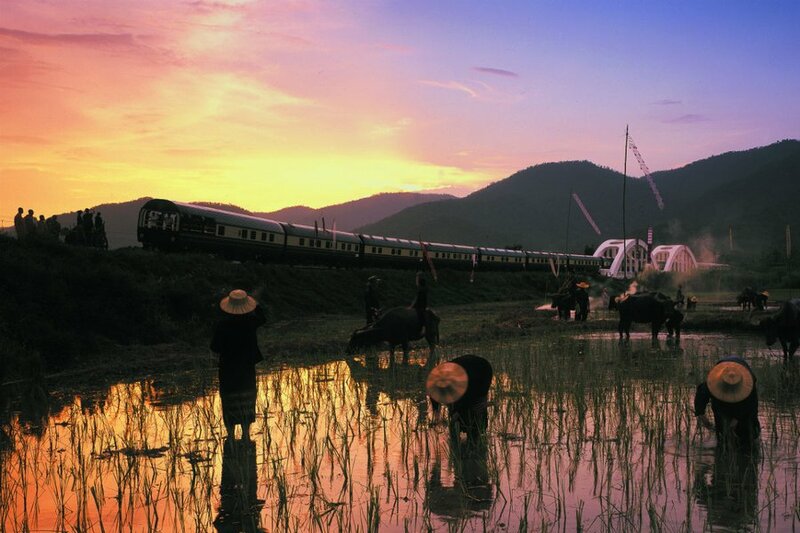 It's all rice paddy fields and lush tropical jungles on Tales of Laos, a circular journey from Thailand through Laos. When you're not enjoying live music or a local performance in the bar car, you'll be having sunset cocktails on the open-air deck in the colonial-style observation car. Along the way, you'll channel Tomb Raider in the Angkor Wat-like Khmer ruins of Phimai, taste wines in the Khao Yai vineyards, and have lunch surrounded by gilded Buddhist temples. Travelers on the Indian Splendour really do feel like royalty. The 1,700-mile journey includes a visit to the Taj Mahal, an elephant polo match in Jaipur, and a boat ride on a lake in Udaipur. 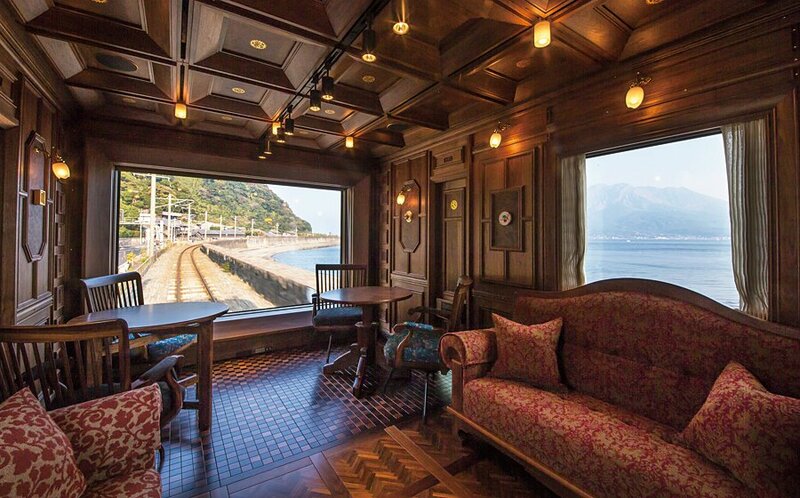 The cabins on the half-mile long train are named for precious gems like katela (amethyst) and heera (diamond) and reflect the varying levels of service. Rang Mahal Restaurant has hand-painted fresco ceilings; the vast presidential suite comes with a personal valet. If this isn't enough splendor, custom off-train spa, shopping, and golf activities can be arranged beforehand. 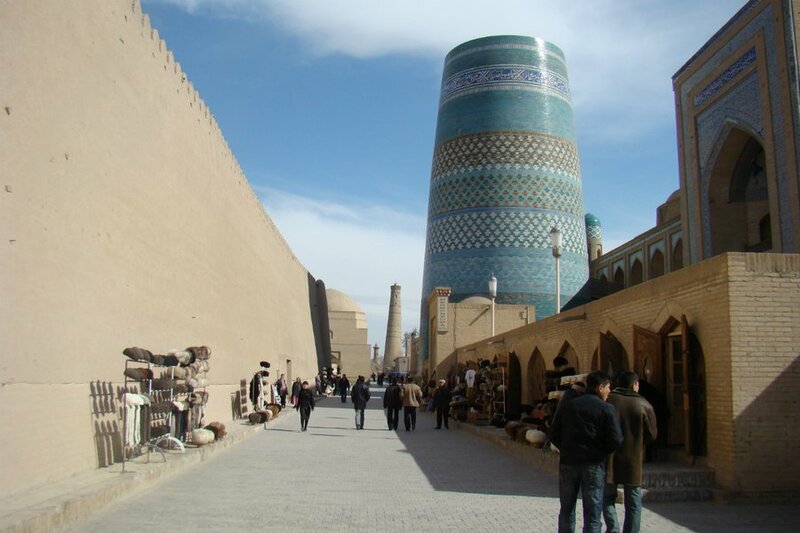 Retrace Marco Polo's footsteps on the Taste of the Silk Road journey. See vignettes of the former Soviet empire and glorious Russian tzars, ramble through the Kara Kum desert, marvel at architecture from the ancient world, ending in Almaty surrounded by the imposing Tien Shan mountains. 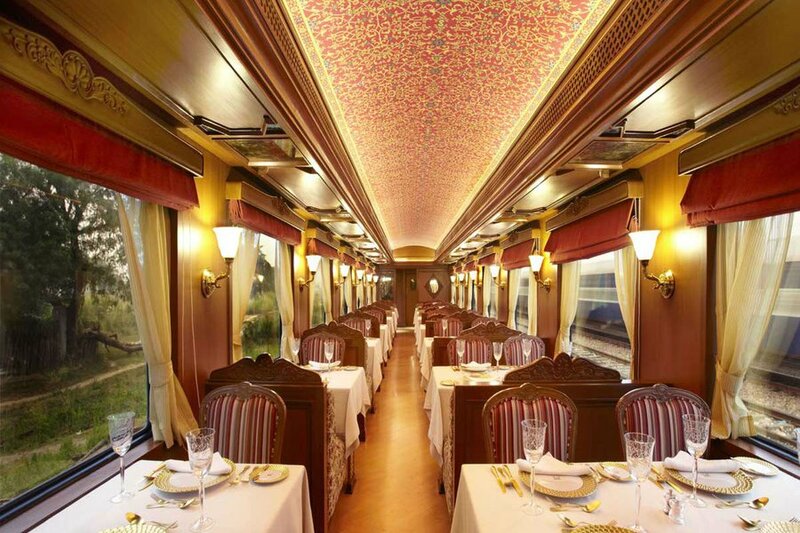 When you're not getting lost in the rich history of minarets, bazaars, and mosques, you'll spend evenings in the plush dining and bar cars with live music. A longer 21-day option on the Shangri-La Express continues into China to Beijing. 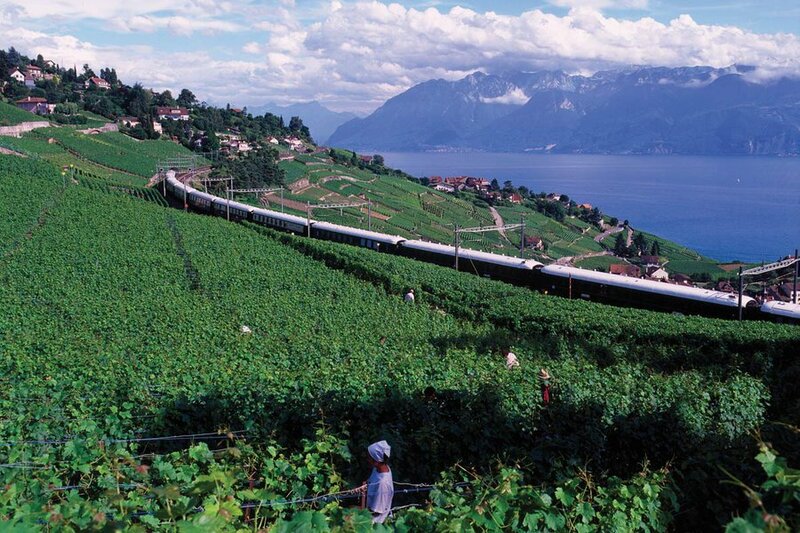 Check out our favorite trains and routes.